With over 25 years experience in design of washing systems for plastic waste we also offer accessories, individual machines and complete systems. We work together with reputable and reliable companies well known for their quality and dependability in the recycling industry. The following equipment can be procured through us. Rectangular mixing tanks also known as turbo washers. 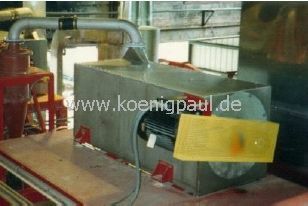 For creating a suspension in the separation level for plastics particles. Through the rectangular structure of the mixing tank, the material is systematically sorted and receives a high degree of cleansing. The suspension occurs in the separation system. 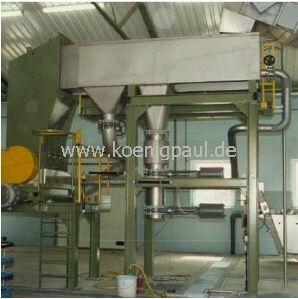 It is feasible to install various types of separation equipment. We would be glad to help you. For the separation of medium and plastics. 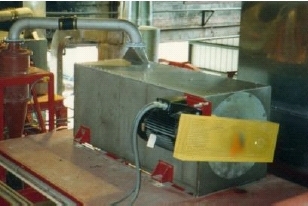 During the separation phase the friction washer also serves as a secondary wash cycle and, dependent on the design, as a mechanical pre dryer. There are various types of friction washers available. 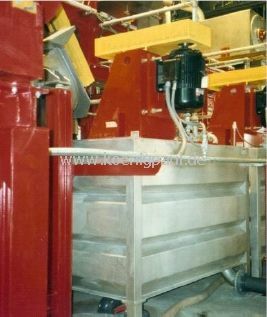 Either directly after the wet granulation stage designed as a double friction washer or as single unit for individual stages. Used for final drying of plastics at the end of the washing line and preparation for the final material processing.Example; for agglomeration or extrusion. 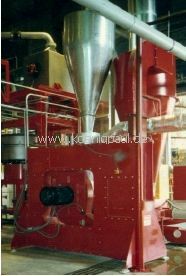 We have numerous choices of equipment depending on the customers application. Let us know your application. 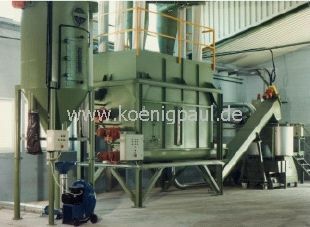 Used for storage of the size reduced material film or granulate as a temporary stage. Depending on the material there are various designs available. Let us know where or how you want to store the material. We’ll be glad to assist you. 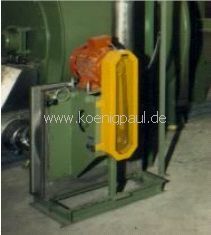 Used for pre-separation of heavy foreign materials such as stones or metal. The channel is situated down stream from the wet granulator where plastics and water are used to combine friction and washing in the granulation process. If you are confronted with this application let us know.